On the eve of a recurring catastrophic event known to extinguish nations and reshape continents, a troubled orphan evades death and slavery to uncover her own bloody past - while a world goes to war with itself. In the frozen kingdom of Saiduan, invaders from another realm are decimating whole cities, leaving behind nothing but ash and ruin. 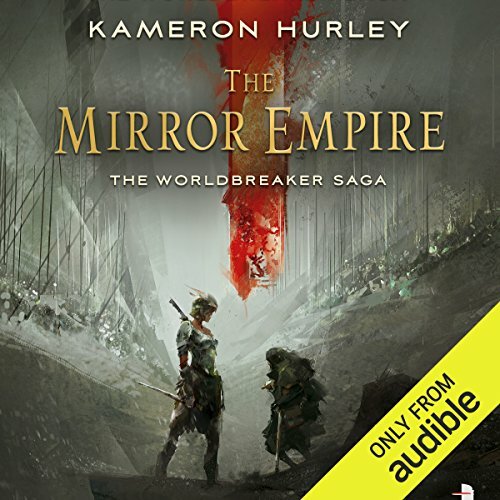 As the dark star of the cataclysm rises, an illegitimate ruler is tasked with holding together a country fractured by civil war, a precocious young fighter is asked to betray his family and a half-Dhai general must choose between the eradication of her father's people or loyalty to her alien Empress. 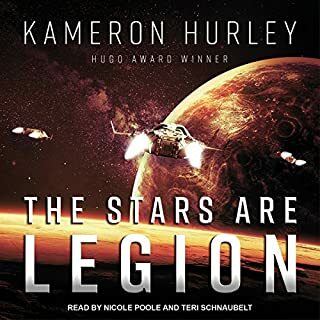 Through tense alliances and devastating betrayal, the Dhai and their allies attempt to hold against a seemingly unstoppable force as enemy nations prepare for a coming together of worlds as old as the universe itself. In the end, one world will rise - and many will perish. I got this on the recommendation of a friend and I am SO glad I did! It was confusing at first, but keep going & you'll catch on. Some of the most amazing world building I've ever seen. This style reminds me of ASOIAF, but this author is more brutal than GRRM (in a good way!). I loved the array of perspectives-- people of all (& multiple genders), disabled folks, & different cultures. Loved the unique characters. Five stars for sure. After reading the wonderfully gritty Bel Dame Apocrypha (which was stunning) I expected a gritty fantasy The narrator had the wrong voices for this type of fantasy. She'd probably be fine for a cosy mystery. This story is quite confusing to follow with the various names and then the same names used in the other world. 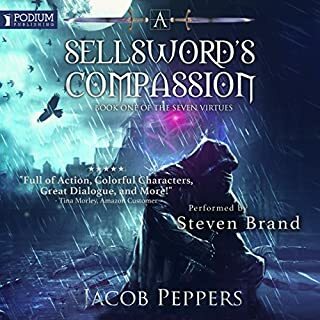 It’s taken me a long time to get through this story and quite often I lost interest or only 1:2 followed on the audio book. Not an easy read or listen and the author spends way too much time explaining various things to the point that it’s nauseatingly boring. Unfortunately this narrator manages to make every character sound like an affronted grandmother, except for Lilia, who sounds like a country bumpkin from the Charlotte's Web cartoon movie. I tried so hard to look past this but nearly every line felt delivered counter to the intentions of the author. The best narrators manage to imbue some sense of the character's own personality to the tone, and this one simply doesn't. Every character sounds exactly the same and it makes it an active burden to tell who is who. For the story itself, it's all very intriguing but takes so long to make sense through the cripplingly heavy exposition, lack of real character details, and the veritable onslaught of named characters. I think I'll like this book better on a second read-through. Probably in print. 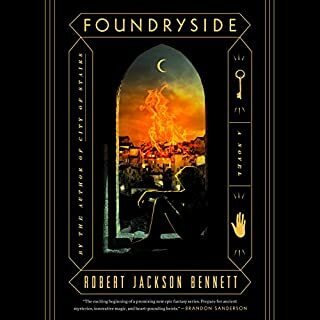 The societies and world building is excellent most of the characters are not good people though, and there's a lot of pointless cruel happenstance described. Struggled after the half way mark when none of the events seemed significant in the bigger picture of the story arc, or maybe it's that the larger story arc wasn't established enough for me to understand the bigger picture. I have seen quite a few people knocking this book, but I would say to any one considering reading (or listening to it, rather) - stick with it! It is a bit difficult to wrap your mind around at first, I will most certainly grant you that. BUT, it is rewarding because this is a wholly unique fantasy world. It is not the sort of world or story you are used to with your more mainstream authors, but it is one all unto itself. After this book, I immediately had to get the next and I'm dying waiting for the third book to come out! 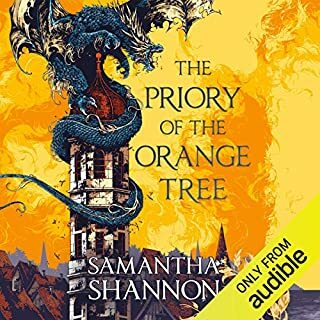 10/10, will definitely read/listen to again! 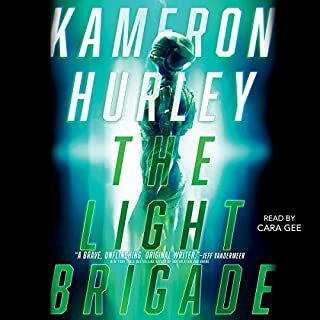 What could Kameron Hurley have done to make this a more enjoyable book for you? spend less time lecturing about pro nouns, concentrate on a interesting story. Have you listened to any of Liza Ross’s other performances? How does this one compare? I wish I could say that I loved this book. I really wish I could give it a glowing review. 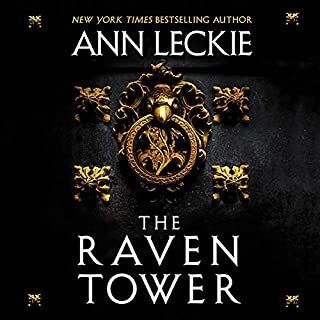 I did enjoy it enough that I will be buying the sequel, but I won't be listening to it; I'll be reading it myself. This was very difficult for me to get through. I think my biggest issue was with the narrator - she was not suited to this story one bit. It really ruined the whole book for me. I usually listen to audio books either in the car or in bed, but I couldn't do that with this book or I'd just fall asleep! Her voice is boring and sounds somewhat automated. Her character voices where horrible and the monotone pitch she kept made it easy to zone out and then realise you just missed a huge plot point. The book itself was slow and dragged out, for such a long book I feel as if nothing really happened, well nothing really exciting happened. But maybe that's because of the narrator.